Students who are still struggling with reading when they reach the upper elementary, middle, and high school grades find it very difficult, if not impossible, to catch up. As the years go by, their inability to read becomes more and more humiliating. There are few effective age-appropriate resources available to older struggling readers that permit them to practice the skills they need to become proficient readers. Research has shown that reading a lot helps students acquire the essential language, cognitive skills and background knowledge that will promote academic success (Cunningham and Stanovich 1998). Avid, fluent readers “acquire new language and vocabulary, new conceptual knowledge, new comprehension challenges and new modes of thought to which they would not otherwise be exposed” (Adams and Bruck, 1995). Practice makes their word recognition skills automatic, freeing them to concentrate on higher-level ideas in their reading. Greater fluency leads to better skills, more pleasure, more information, and hence, more reading. Struggling readers can be compared to musicians or athletes in training (Samuels, 2002) in their need for practice. Poor readers tend to read less than better readers, with the gap increasing as the students move through the grades (Stanovich, 1986). There is enormous variation in the amount of independent reading that students do outside of school, with students at the 98th percentile reading 4,358,000 words per year while students at the 10th percentile read 8,000 words and students at the 2nd percentile report reading nothing outside of school at all (Cunningham & Stanovich, 1998). A similar disparity exists between good and poor readers in the classroom as well. While good readers are spiraling upward to higher and higher levels of language and knowledge, struggling readers are spiraling downward into lowered expectations, lack of motivation and limited practice (Stanovich, 1986). Because their reading is so labored, they don’t read, and because they don’t read, they don’t develop the language base or background knowledge of their peers. With every passing year, their vocabularies and background knowledge become more and more discrepant from other students, and it becomes increasingly difficult for them to narrow the gap and access the materials of the classroom. The Start-to-Finish Library supports the development of all six dimensions of reading in older struggling readers. Based on current research strategies, the Start-to-Finish Library is designed specifically to boost the volume of reading of these students, and turn them into active, engaged and successful readers. Start-to-Finish provides two libraries of motivating paperback books with companion computer book and audio books for older, struggling readers, from fifth graders through high school. The Gold Library is suited to those who are reading at the second to third grade level, while the Blue Library is suited to those who are reading at the fourth to fifth grade level. The books in both libraries contain considerate text that acknowledges the interests and social maturity of the older student with reading difficulties. There are a variety of titles suitable for self-selected reading as well as books to supplement the curriculum. Designed to be used in conjunction with a strong reading and word study program, both libraries provide the critical volume of practice needed by struggling readers. Start-to-Finish books are not written to a readability formula. They are written for success: that is, they are written in an authentic manner by experienced authors who produce text that is as clear and coherent and as simple as the underlying ideas permit. The authors and editors assume that the struggling reader brings very little background knowledge and vocabulary to the reading experience. 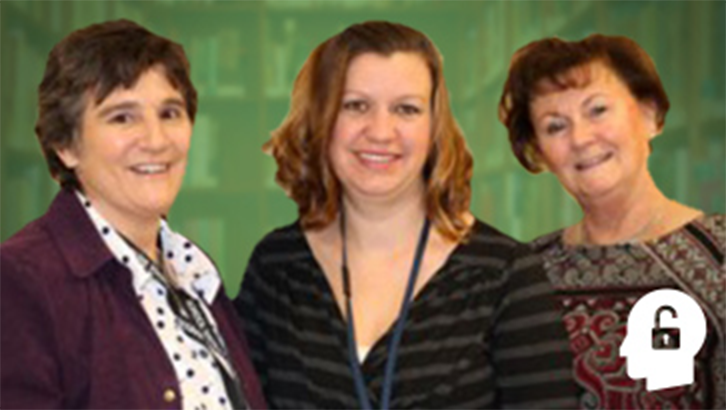 After the books are written, two speech/language pathologists and a learningdisabilities specialist, all with many years of experience teaching struggling readers, scrutinize them. The editors adapt the text to meet the needs of older struggling readers. In editing a Start-to-Finish book, editors look first at text structure. Is the story coherent and well sequenced for understanding? If it’s a rewritten version of classic literature, does the voice and spirit of the original author come through? Have the most important parts of the story been included? Is there enough dialogue? Is the text engaging enough to keep a struggling reader motivated? Next, the editors look for places where comprehension depends on certain conventions of literature that may be unfamiliar to the struggling reader. For example, novels often present extended dialogue where the only clue to a change of speaker is indentation. Start-to-Finish books in the Gold Library always explicitly identify the speaker in the written text. In the Blue Library books, the speakers in a passage of dialogue are not always identified in the written text, providing a bridge to move students closer to reading grade-level text. In both libraries, the voices and accents provided by the narrator help students to see the connections between the punctuation and indentation on the page and the spoken dialogue. Especially at the lowest reading levels, struggling readers often stumble over specific words, grammatical structures and word order in reading. Start-to-Finish editors change the Gold Library text to remove as many of these stumbling blocks as possible, enabling students to read more smoothly— freeing them to think about the ideas in the book. Do not end a sentence with a transitive verb when the next sentence begins with a noun. For example, Ken was teasing. Mandy and Kris grinned. Students may ignore the period and read this as Ken was teasing Mandy and Kris and then get confused when they come to “grinned.” Therefore, change the sentence to the following: Ken was teasing Mandy and Kris. They grinned. The most important goal of the Gold Library is to smooth the way for struggling readers and ignite their interest in reading so they can get the critical decoding practice they need while increasing their background knowledge and vocabulary. The National Reading Panel research (2000) has shown that both younger children and older, struggling readers benefit from phoneme awareness training and systematic phonics instruction. They also asserted that in this instruction teachers must be sure that students know why they are learning lettersound relationships and be able to apply their skills in their daily reading and writing. Paired with a strong program of word study, the Start-to-Finish Library is designed to provide motivating practice to help students make these critical skills automatic. Gold Library books are about 5,000 words long. Approximately 70% of those 5,000 words come from a short list of the 330 most frequently occurring words in text. An additional 25% of the words come from a graded list of words that researchers have found to occur in primer through third grade texts. The remaining 5% of the vocabulary is specific to the topic or story (e.g. names, places, new concepts). Also considered in word choice is phonetic regularity, providing many opportunities to practice the decoding skills taught in the classroom, such as letter-sound associations, sound blending, onset and rime (words ending in a family of sounds such as -all, -ost, -ine), identifying root words (e.g., finding shine and carry in words with suffixes such as shining and carried), and dividing words into syllables (base/ball, in/ven/tion). On the computer screen, the Gold Library books are presented one page at the time, with word-by-word highlighting paired with human speech. 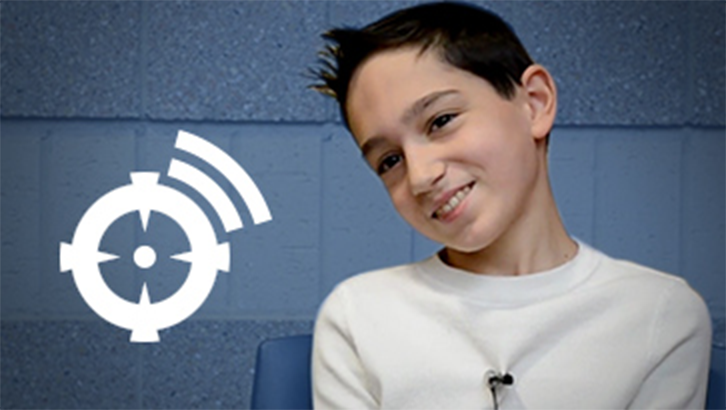 Students can click on individual words to hear them pronounced by the narrator. The companion paperback book matches the on-screen layout line-by-line, allowing students to make the transition easily from the computer experience to the paperback book. When students’ decoding skills become automatic enough for them to move into the books in the Blue Library, they are presented with more challenging vocabulary, idioms, word order, metaphors, and other forms of literary expression. Each Blue Library book contains about 10,000 words, about twice the length of a Gold Library book. In this Library, students are supported with sentence-by-sentence highlighting as they follow along with the narrator in the computer book, and they can click on each individual sentence to hear it read aloud. Singleword support is provided only for more difficult words, especially those that appear on graded word lists at the fourth-grade level and above. Students are expected to be able to handle the easier words on their own or by hearing them in sentence context. Thus students continue to be successful while moving toward greater and greater independence. The clear pronunciation of an expert reader is available at the click of the mouse to help Start-toFinish readers build strong connections between the printed word and the sounds, syllables and stress patterns of spoken language. The combination of deficient decoding skills, lack of practice and difficult materials result in unrewarding early reading experiences that lead to less involvement in reading-related activities (Cunningham & Stanovich, 1998). Students with a history of failure simply don’t have the motivation to read, therefore they are not benefiting from the positive effects of reading volume. Some schools rely on sustained silent reading to give their students the reading practice they need, but for this to work, it is critical that the books selected be at the students’ independent reading level, and poor readers often choose books that discourage rather than encourage them to read (Samuels, 2002). The Start-to-Finish Library is designed to give them choices that will make them want to keep reading. Motivation is high with Start-to-Finish books because of the way the books are written, edited, narrated and placed into the software. The narrator provides excitement, often using different voices and accents which students eagerly imitate. The carefully written text and computer support ensure that students will be successful and will attend for longer periods, achieving automaticity and acquiring the background knowledge and vocabulary that will make it easier to get into the next book and onto the next level of reading difficulty. 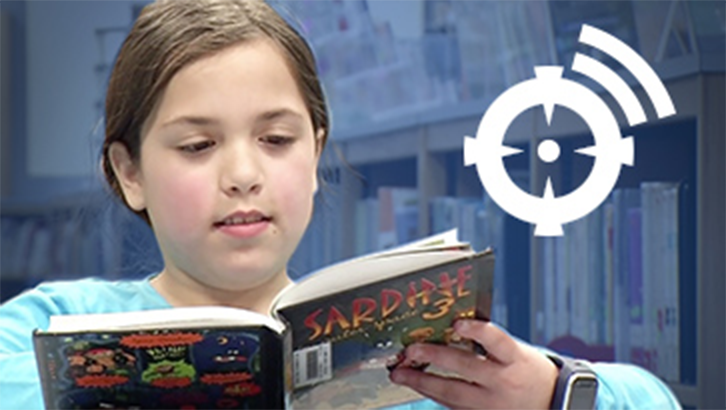 Students who use the Start-to-Finish library soon experience the thrill of recognition as they see words and names reappear and connections form between books. For example, a student who reads the Gold Library Nick Ford book, The Graveyard Mystery, will encounter references to the Civil War and to Mark Twain’s hometown. Within the library the student will then have the opportunity to learn more about the Civil War through biographies of Harriet Tubman and Frederick Douglass, or a retelling of Red Badge of Courage. Students can also follow up on Mark Twain by reading the Start-to-Finish retelling of his short story Life on the Mississippi and his novel The Adventures of Huckleberry Finn. When they become fluent enough to read the Blue Library books, students can read a retelling of Tom Sawyer as well. Gradually, as students work their way through the library of both self-selected and teacher-selected books, they begin to experience the pleasure and comfort of recognizing names, concepts, words, and background knowledge. This is an experience that good readers take for granted. The struggling reader now has knowledge to share and contribute to classroom discussions with academically successful peers. Research has shown that students need more than dictionary definitions to learn vocabulary (Stahl and Fairbanks, 1986) – they need to see words in meaningful contexts. Stahl and Fairbanks (1986) recommend that vocabulary instruction provide directed exposure to new vocabulary in the context of sentences and stories. In both libraries, Start-toFinish books provide memorable contexts for new vocabulary. In the Gold Library, the writers and editors keep the vocabulary as simple as possible, but always with the educational needs of the student in mind. For example, in the books about Ancient Egypt, the editors did not change ancient to old, even though ancient is harder to read, because it would be worth the difficulty for struggling readers to learn the word ancient, along with words like hieroglyphic, pharaoh and archeologist. Students need these words to follow up on an interest in Egypt, and they need these words to talk about or write about the subject. The computer support allows students to receive the exposure they need to master these words. In addition, words that are likely to be unfamiliar to students are introduced in simple contexts that make their meanings clear. In the Blue Library, students see more abstract vocabulary. They also see words used in more varied ways, with prefixes and suffixes that change their meanings and parts of speech; e.g., mortal/immortal, kind/kindness, fury/furious/furiously, gain/regain, agree/ agreement, harm/ harmless/ harmlessly. Students who are being taught how to analyze words according to prefixes, suffixes and roots according to word study methods such as those suggested by Cunningham (2000) or Stahl (1999) will find many opportunities to do so in the Blue Library books. Carlisle, et al (2001) has shown that poor readers have particular difficulty on words where the accented syllable changes when a suffix is added, such as nature-natural. This is exemplified by a student with reading and language difficulties who can read the word necessary but struggles to read the name Fort Necessity in the Blue Library Start–to– Finish book Against All the Odds. The student can use the narrator’s pronunciation and single word auditory support to compensate for this difficulty. Poor readers have difficulty when words are used in non-literal ways, such as fork in the phrase a fork in the road. Idioms and metaphorical language are carefully controlled in the Gold Library and used more plentifully in the Blue Library. Idioms and figures of speech that are considered worth teaching are carefully placed in contexts that make their meaning clear. The expression of the narrator’s voice helps students to understand idiomatic language. [With Start-to-Finish books], the struggling reader now has knowledge to share and contribute to classroom discussions with academically successful peers. Comprehension is intimately tied with background knowledge, vocabulary and decoding skills. Struggling readers are constantly confronted with materials that are too difficult for them. When they read such materials, they leave their errors uncorrected because they have no hope of having the text make sense. This does not happen with Start– to–Finish books because after students listen to the narrator read a page they know that the text makes sense, and they quickly begin to self-correct and monitor their comprehension. Because students read these books with good comprehension, every Start– to–Finish experience builds knowledge and vocabulary that makes the next book easier to pick up and easier to finish. In a study of the use of comprehension strategies by good and poor readers at the high school level, Kletzien (1991) found that poor readers’ use of comprehension strategies was better on simplified texts than on texts that were more difficult for them to read. Kletzien’s poor readers were not an identified population of learning disabled students, but rather students between the 18th and 49th percentile in reading comprehension. One might expect struggling readers whose skills are below the 18th percentile to have their use of comprehension strategies even more strongly affected by reading difficulty. Start-to-Finish Library books provide opportunities for students to work on comprehension strategies at a manageable reading level that frees their mental resources for higher-level thinking. Comprehension activities in the Gold Library are kept simple and literal. The goal of the activities is to allow students to succeed with an independent comprehension task. In the Gold Library, for example, after each chapter, the computer presents a brief summary (a modified cloze passage) containing eight blanks. The student scrolls through five possible answers to complete the sentences. The computer scores and graphs the results for immediate feedback. In the Blue Library, the multiple-choice comprehension quizzes at the end of each chapter are more inferential, and encourage students to pay attention to non-literal meanings of words. Students must go beyond the exact words of the text to find the underlying meanings. Two quizzes are included after each chapter: a Questions quiz and a Word Meanings quiz. The quizzes can be turned on or off according to individual student need. The Questions quiz provides why and how questions about the story. The Word Meanings quiz asks questions about vocabulary, idioms, and metaphors from the story. Practice in context has some advantages over practicing word lists (Levy, 2001, p. 359) in that it provides the “opportunity to improve the integration of skills needed for fast reading with comprehension.” After each chapter of a Start-to-Finish Library book, students have the opportunity to record themselves reading a passage from the chapter aloud, with the narrator’s voice close at hand to model careful pronunciation, good rate, and optimum phrasing and emphasis. The student is able to read the passage repeatedly to improve fluency, and to save the final recording for the teacher to hear later. The considerate text and considerate supports of the Start-to-Finish Libraries give students the support they need in order to learn important new words and idioms, sentence structures, word orders, literary conventions and background knowledge. By minimizing the difficulties and by supporting challenging text, Start-to-Finish books give students the freedom to enjoy reading more and build the volume they need to become better readers. The Start-to-Finish Library represents a collaborative design by experts in the fields of reading, language, learning disabilities and educational technology. The library was developed using proven principles of reading research. Dorothy Tyack, MA—Dorothy is a learning disabilities specialist and former director of the San Francisco/Burlingame Scottish Rite Center for Childhood Language Disorders. 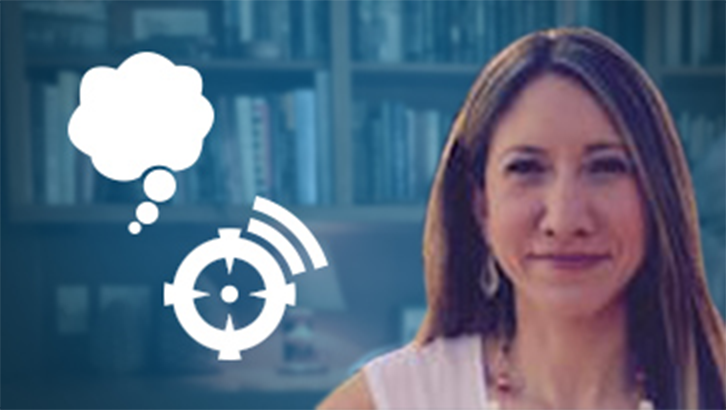 Her work has appeared in the Journal of Learning Disabilities, Journal of Speech and Hearing Disorders, Journal of Psycholinguistic Research, Journal of Child Language, and Language, Speech and Hearing Services in Schools. She is co-author of Language Sampling, Analysis and Training: A Handbook (Tyack & Venable, 1998). Dorothy is a member of the Board of Trustees of the Orton-Gillingham Academy. Gail Venable, MS, CCC-SLP—Gail is a San Francisco-based speech-language pathologist, with a specialty in language and reading difficulties. She is co-author of the Diagnostic Profile Form (Solina & Venable, 1986) and Language Sampling, Analysis and Training: A Handbook (Tyack & Venable, 1998), and the editor of Readability in Classroom and Clinic: New Perspectives (2003). She has taught courses in language sampling and language disorders in children for the Communicative Disorders Department at San Francisco State University. Jerry Stemach, MS, CCC-SLP—Jerry Stemach is an Assistive Technology Specialist with credentials in elementary and special education. Through his work at the Scottish Rite Center for Childhood Language Disorders in San Francisco, he acquired expertise in language sampling and analysis and worked with colleagues to develop strategies for teaching reading to students with significant language and literacy challenges. Through his work at thethe Sonoma County Office of Education’s Adaptive Technology Center in Sebastopol, California, Jerry and his colleagues extended these reading strategies through the use of assistive technology to students with multiple disabilities. Jerry is the Director of Content Development for Start-to-Finish Books. Dr. Ted S. Hasselbring, Ed.D—Instructional decisions for the technology components were based on the research and guidance of Dr. Ted S. Hasselbring, Ed.D. – Dr. Hasselbring is the William T. Bryan Professor and Endowed Chair in Special Education Technology at the University of Kentucky. Over the past twenty years, Dr. Hasselbring has conducted research on the use of technology for enhancing learning in students with mild disabilities and those who are at risk of school failure. He has authored more than one hundred book chapters and articles on learning and technology and serves on the editorial boards of six professional journals. He is also the author of several computer programs. Dr. Hasselbring spent 17 years as Co-Director of the Learning Technology Center at Vanderbilt University. Carlisle, J., Stone, C., & Katz, L. (2001). The effects of phonological transparency on reading derived words. Annals of Dyslexia, 51, 249-274. Cunningham, P. (2000). Phonics they use (3rd ed.). NY: Addison Wesley Longman. Cunningham, A. & Stanovich, K. (1998). What reading does for the mind. American Educator. Spring/Summer. Dowhower, S. (1994). Repeated reading revisited: Research into practice. Reading & Writing Quarterly: Overcoming Learning Difficulties, 10, 343-358. EDL Core Vocabularies. (1989). Austin, TX: Steck-Vaughn. Kletzien, S. (1991). Strategy use by good and poor comprehenders reading expository text of differing levels. Reading Research Quarterly, XXVI, 1, 67-86. Levy, B. (2001). Moving the Bottom: Improving reading fluency. In M. Wolf (Ed. ), Dyslexia, fluency and the brain (pp. 357-379). Timonium, MD: York Press. Meyer M. & Felton, R. (1999). Repeated reading to enhance fluency: Old approaches and new directions. Annals of Dyslexia. 49, 283-306. National Reading Panel. (2000). Teaching children to read: An evidence-based assessment of the scientific research literature on reading and its implications for reading instruction (National Institute of Health Pub. No. 00-4749). Washington, DC: National Institute of Child Health and Human Development. Samuels, S. (2002). Reading fluency: Its development and assessment. In A. Farstrup & S. Samuels (Eds.) What research has to say about reading instruction (pp. 166-183). Newark, DE: International Reading Association. Stahl, S. and Fairbanks, M. (1986). The effects of vocabulary instruction: A mode-based meta-analysis. Review of Educational Research, 56 (1), 72-110.